Szósta część przygód Harry\'ego Pottera w oryginalnej wersji językowej. J.K. Rowling charts Harry Potter\'s latest adventures in his sixth year at Hogwarts with consummate skill and in breathtaking fashion." 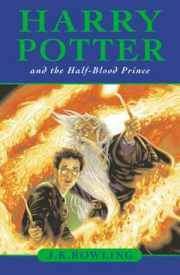 Tytuł: Harry Potter And The Half-blood Prince (child) / Rowling J.k.